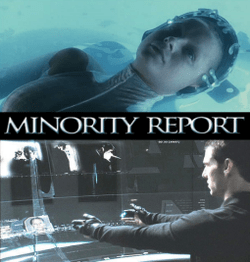 This is a unique minority report, however we do not have the “precogs” available like in the movie, Minority Report. In a few years, looking back, the right thing will have been to unite the innocent IVF brother and sister instead of splitting them. Of course, it will be nice to also have equal rights for IVF children and families in the future so that these inhumane situations are not created. Sadly, infertility and IVF are dealt with lot of secrecy and stigma which means not too many people speak up and suffer in silence. Due to lack of laws and lengthy legal battles, they may even abandon the IVF child unwantingly. What are the rights of the IVF child – whether forcefully abandoned or not? As a human race, why are we “manufacturing” human babies without adequate laws protecting the rights of IVF children and families? Can we do better? If two IVF siblings are born the same way from a legal perspective, then should both have them have the same legal status? Is it fair to show compassion to one and not the other? It is a fact that laws have been broken and IVF children have been created who are in legal limbo and land-locked and our only solution as humans is inaction? Should the innocent, voiceless IVF brother and sister be united? If child trafficking is a crime against humanity, is creating IVF children and placing them in legal limbo thereby denying their rights a crime? If human trafficking is a crime whereby their basic human rights are violated, is creating IVF children and making them stateless and land-locked a crime? There are several Nazi guards and soldiers sheltering in the US who may have never committed any crime on US land. However, because of the crime against humanity, they are still prosecuted and deported and brought to justice. Is creating stateless IVF children deliberately a crime against humanity? Do IVF children have rights and do they deserve equal rights as humans? Nazis created situations where a parent had to pick between innocent children on who to send to the gas chamber. Is creating situation and manipulating the anti-gay, anti-IVF laws to place an IVF parent in a situation to pick between two IVF children on two separate continents? The other minority is intersex people and families. Is the secrecy and stigma only felt by the intersex person or also by the spouse of intersex and children? Are the effects of intersex surgery only felt by the intersex person or also the spouse and children when the intersex surgery is performed during a marriage? Is infertility and lack of laws for intersex families only felt by the intersex person or also by the spouse of intersex and children? First, we have to get past the “shame and secrecy”. If gays are proud and open, they achieve equal rights. Why can’t intersex families also hope for the same? So are intersex male or female or “third gender”? If intersex are female then why are governments passing laws to have a legal “third gender”? If intersex are female then why are they removing male testes and lying and creating fraud documents about the surgery? If this surgery is “torture” and traumatic for the intersex patient, what are the effects on the spouse of intersex and children of intersex when the surgery is performed during a marriage? Is gay family rights same as intersex family rights? If an intersex person has a “right to feel female”, does a spouse of intersex have an equal “right to feel” also? Does the spouse of intersex have the “right to feel” what governments and honest intersex people around the world are feeling, the need for “third gender”? This is a specialized “spouse of intersex” who has witnessed the transition of an intersex person in every way possible when they had the intersex surgery during the marriage – an event that does not occur for most intersex marriages. The spouse is as much of a victim and in severe trauma of a different kind as much as the intersex person. Only by recognizing the facts can we move to a solution. We are genuinely missing the “precogs” to offer insight into the future. The spouse and children in an intersex marriage are the minority within a minority and have equal rights too or not? The issue is not intersex, infertility (IVF) or immigration, these are just the mechanisms used to expose the lack of laws. The issue is secrecy, lying and relentless breaking of the laws with no respect for basic human dignity and respect including innocent children. The silence is offensive and hurting innocent, voiceless IVF children.